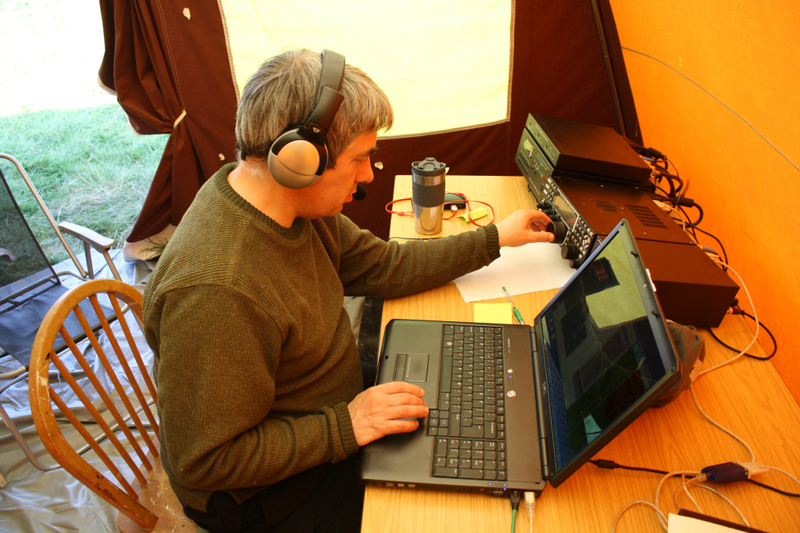 While SSB Field Day is clear in my mind still I thought I’d write down some after thoughts, its been two years since I last took part seriously, my contesting is normally the big events like CQ & IOTA events so the first thing to do is to clear up the fact it doesn’t compare with those. 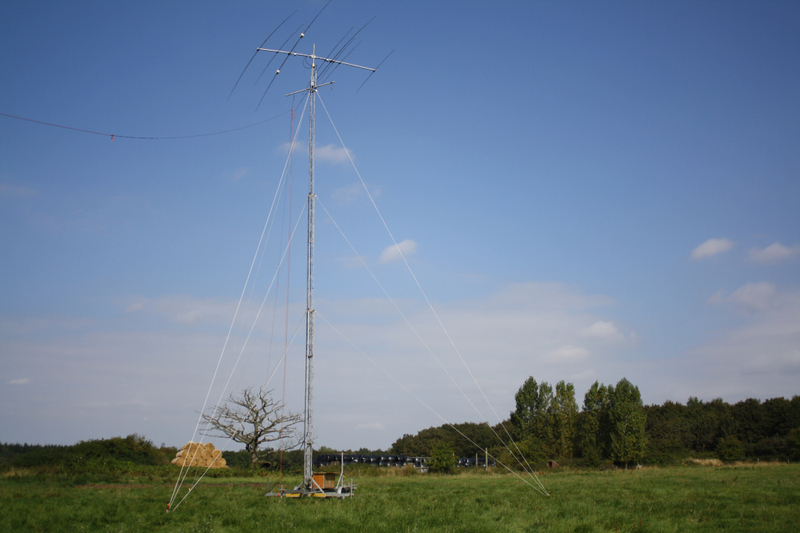 This year I took part with the local radio club the Oxford & District Amateur Radio Society, from a farmers field in Worminghall just next to the M40 it was an ideal location for logistics as the clubs tower is stored in a near by facility along with other assorted bits. The team gathered on Friday to assemble the Force 12 C3 beam with 40m, plus a Hustler 6-BTV vertical to use for the Mults listening station plus two frame tents one for operating and the other for cooking and socialising it was then back home for a good sleep before reassembling Saturday morning to put up the 80m dipole which took some work due to the technique used to stick it on its storage drum, sadly it somehow got wrapped up with the 160m dipole which we wasn’t going to need. However a small group sorted that out and it was soon in the air and some adjustments was made to make it resonant in the SSB part of the band. Inside the operating tent Ray (G4FON) had setup his Elecraft K3 and KPA500 as the RUN station and the clubs Yaesu FT-950 for Mult spotting all connected up to laptops and a small network for sharing information between the two positions.. before the contest I had a play in the AA Contest using one of the other club callsigns and managed a nice small run of Japanese & South Korean stations on 15m, however soon as it hit 13:00 UTC and I switched to G8PX/P it proved to be the wrong band to be on as much as I CQ’d no one came back soon having to move to 20m and later on to 40m which seemed a bit early for my liking! Sadly due to other commitments Ray had to leave, and typically within minutes we started to have issues with the logging software (which is made by Ray and used for FDs and IOTA) where the spotting station was unable to pass call signs and frequencies across for the RUN station, a few bug fixes later it worked but soon failed later and in the end nothing seemed to fix it so sadly the RUN station had no easy access to the cluster as I didn’t know how to configure the software back into single station mode. so this cost us dearly for working mults in between CQing and in the end we had to manually pass mults between the two stations on post it notes which worked to some extent. Conditions continued to seem challenging throughout Saturday afternoon however seemed to pick up when I took over again and moved to 80m and we had our best rate for the whole of the weekend with a constant string of Germans, as always night-time proved slow but picked up around sunrise when we moved to 40m and worked a few North & South American stations and more European portables before shifting upwards to 20m as the morning progressed, we even managed to work a few South American and Europeans on 10m briefly before finishing up on 15m working some much needed multipliers. Despite the problems it was an enjoyable weekend and allowed some of the less experienced members a chance to operate in a contest style environment and hopefully will encourage others to have a go next year. We ended up the weekend with 758 QSOs which is a bit low but overall not too bad considering conditions at our location seemed poor for the high bands, more impressively is that we only had 12 dupes as it certainly felt like more!